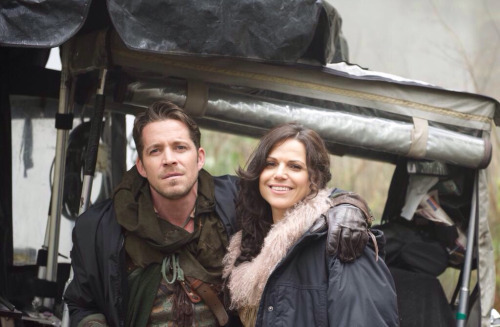 Lana Parrilla and Sean Maguire. . Wallpaper and background images in the 童话镇 club tagged: photo once upon a time season 4 lana parrilla sean maguire regina robin hood outlaw queen. This 童话镇 photo might contain 棚车, 科内斯托加旅行车, 科内斯托加, 草原旅行车, 草原大篷车, 有盖货车, conestoga货车, conestoga, 草原车, 草原帆船, 大篷车, 篷车, 托, 草原马车, 街道, 城市风貌, 城市环境, 城市场景, 城市设置, 炊事车, 卡车, and 夹头马车.